CRAZY COOL GROOVY!!! : CRIMSON TIDE DEFEATS BULLDOGS To WIN 2018 CFP CHAMPIONSHIP!!! 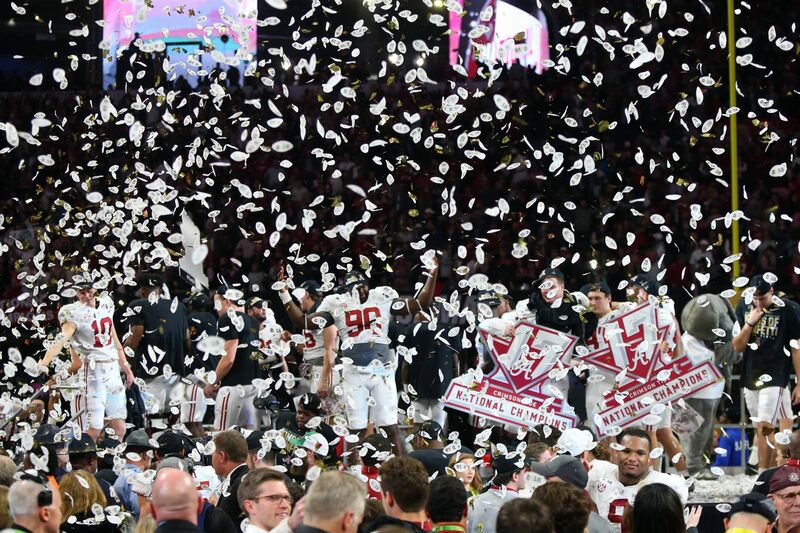 CRIMSON TIDE DEFEATS BULLDOGS To WIN 2018 CFP CHAMPIONSHIP!!! CRAZY COOL GROOVY CONGRATULATIONS goes out to Head Coach NICK SABAN and the ALABAMA CRIMSON TIDE for on last night defeating the GEORGIA BULLDOGS 26 - 23 in an Overtime Victory here in ATLANTA at the MERCEDES-BENZ STADIUM to win the 2018 COLLEGE FOOTBALL PLAYOFF NATIONAL CHAMPIONSHIP!! !